Have you signed up to receive my NEWSLETTER? Beginning January 10, 2018, I will be sending everyone who signs up, my weekly Newsletter. This is separate from the emails you currently receive for blog posts. You will receive My Newsletter every Wednesday morning and they will have all the latest information on products, promotions and on-line classes that are going on. As an extra bonus on occasion I will include a VIP Card PDF for you at no charge. I wanted to offer everyone a gift for signing up and the PDF for the card above is what you will receive. I think it's pretty stinkin cute, if I do say so myself :) Remember, confidentiality is of the utmost importance to me and your information will not be shared. 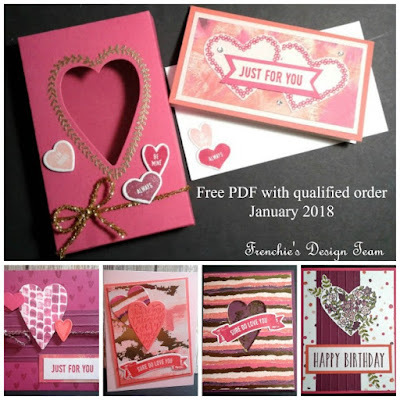 So don't wait, sign up today to get your FREE PDF and HAPPY CRAFTING!! !